According to Terry Richard travel author for The Oregonian, one of the top five best day hikes along the Pacific Crest Trail (PCT) in northern Oregon is the Paradise Park Loop. 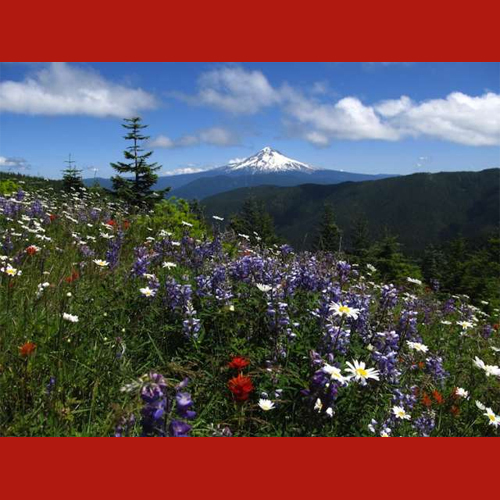 Located in the Mount Hood National Forest, the Paradise Park Loop is a gorgeous location for hiking,camping, flower identifying and more. Learn why Paradise Park made top top five best day hikes along the PCT below. Paradise Park: Hiking the PCT west and north of Timberline Lodge on Mount Hood is likely the most beautiful section of the national scenic trail in Oregon. Make a 10-mile loop from the lodge by circling the wildflower meadows of Paradise Park for above-timberline views of Oregon's highest mountain.